A quick note before I start; the food I’m about to share wasn’t all eaten on the same day. I haven’t had the chance to photograph all my meals on one day (I’ll do one before I leave though, I promise! ), but this is a realistic impression of a regular “eating day” for me here in Bali. 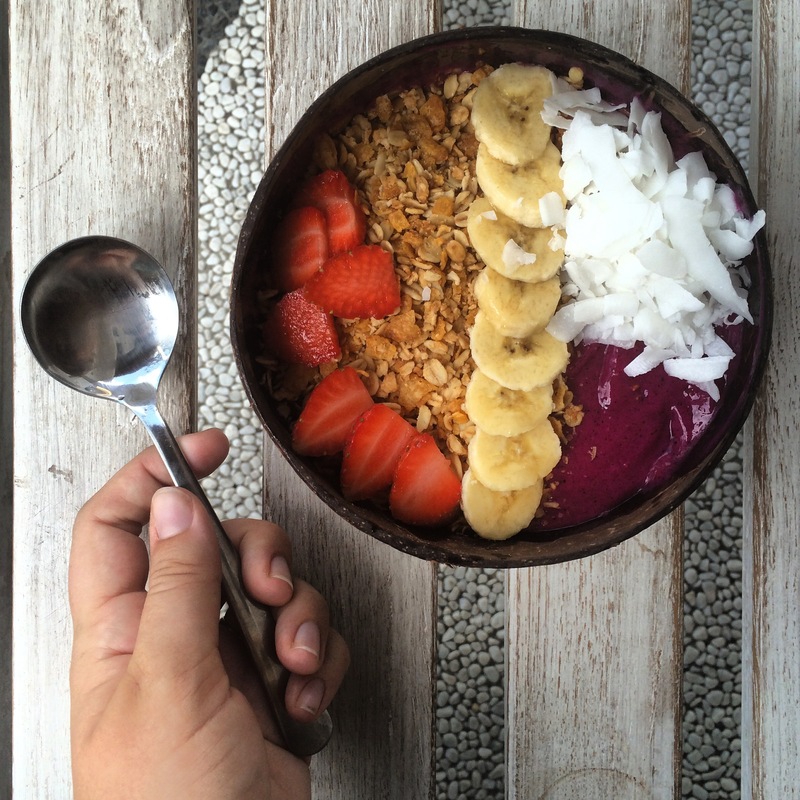 You can never go wrong with a good smoothie bowl! Even though I couldn’t make my own, I found perfection at Nalu Bowls. Delicious smoothie bowls with only good ingredients; perfect. I try to buy as much fresh fruit as possible to snack on throughout the day. 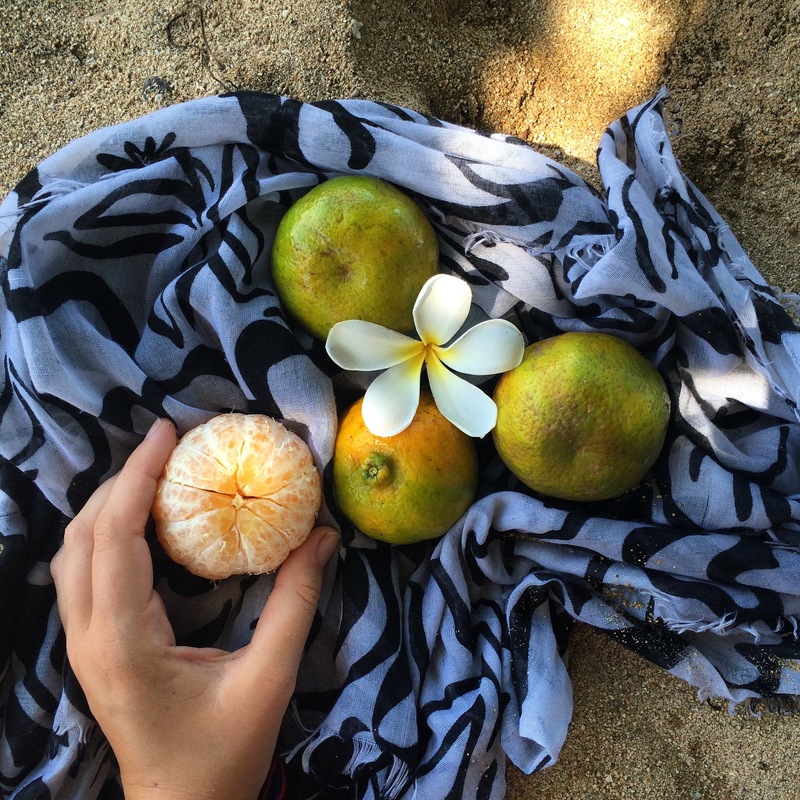 There’s a large range of fruits in Bali, and they’re usually very cheap. I’ve been loving oranges lately; a few of these bad boys keep me full until lunch. 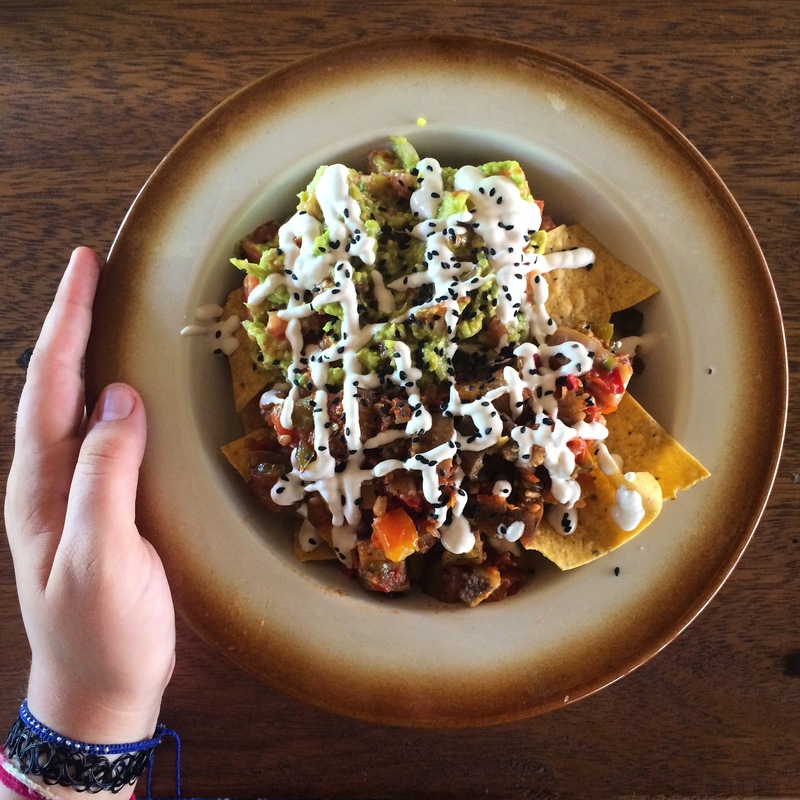 Who knew I’d find the perfect vegan nachos on the small island of Gili Air? These were simply amazing; corn chips, veggies, beans, guacamole and cashew sour cream. More fruit! 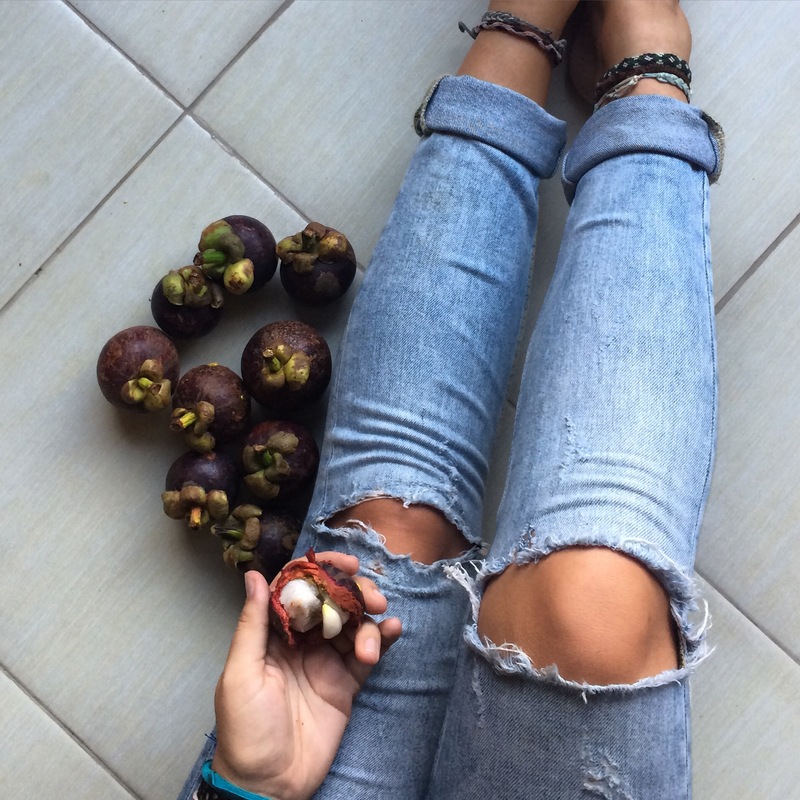 Mangosteen is one of my all time favourite fruits; it’s sweet and soft (but a pain to peel!). I was pleasantly surprised that they’re so readily available in Bali, and for a very cheap price. I’ve been eating these almost daily and never get bored of them. This Bali WIAW wouldn’t be complete without my all time favourite; Nasi Campur from Warung Sopa (in Ubud). Nasi Campur is basically like a mini buffet, where the warung premakes some dishes and you can choose whatever you want. 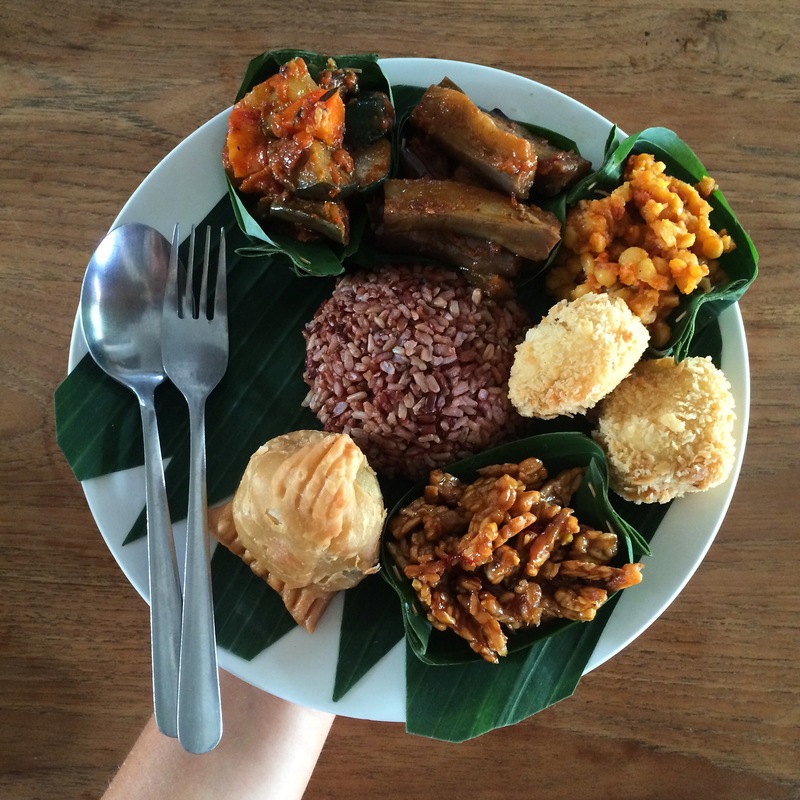 Warung Sopa has a bunch of vegan options, and if you’re as excited about the concept as I am, you end up with a epic plate like this. Ratatouille, eggplant curry, lentils, tofu miso puffs, spicy tempeh, samosa and red rice were my picks this particular night. That’s it for this post! Remember you can always follow me on Instagram for daily pics of what I eat.